As you can see, there was a block of events added from 2012, as while there is no rhyme or reason to it the Network does have older shows as well. Personally, I tend to subscribe every other month and catch-up. WAVE is an underated promotion since their events don’t appear as often, but they have a very strong roster and some of the top Joshi wrestlers. 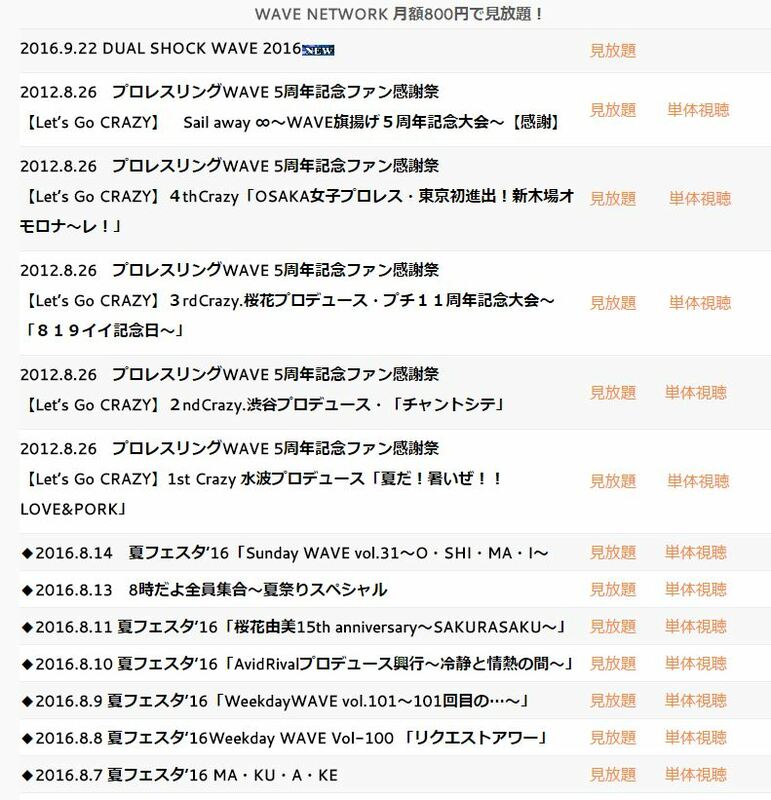 Just keep in mind that most online services in Japan (this is true of WAVE, New Japan, Stardom, and FMW also) run by calendar month, so always sign up within the first few days of the new month so you get your money’s worth.